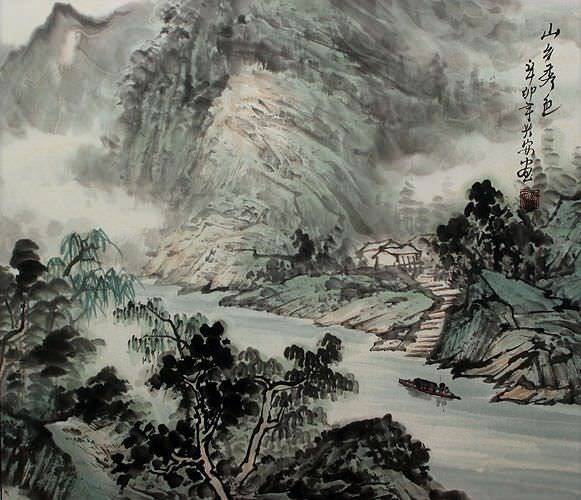 Artwork Panel: 32.3cm x 64.5cm ≈ 12¾" x 25¼"
Silk/Brocade: 41.5cm x 120cm ≈ 16¼" x 47¼"
Reason for discount: Very minor silk flaw. 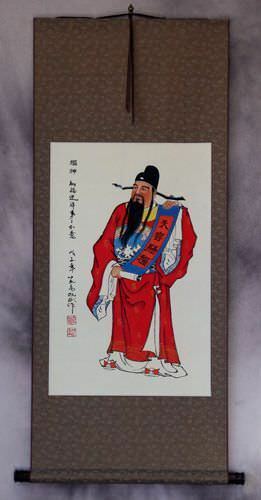 This is a blank wall scroll, intended for calligraphy or other custom artwork that you can apply. This one just has a minor blemish, so it's going for nearly half-price.